As leaves are changing colors and nights are definitely colder, it is natural to warp yourself into something warm and cozy. We are excited to share this easy crochet scarf pattern reminiscent of beautiful fall leaves! What do we love about Caron Latte Cakes Yarns? To crochet this scarf, we picked one of the new Caron Latte Cakes Yarns (in Kissy Kissy). 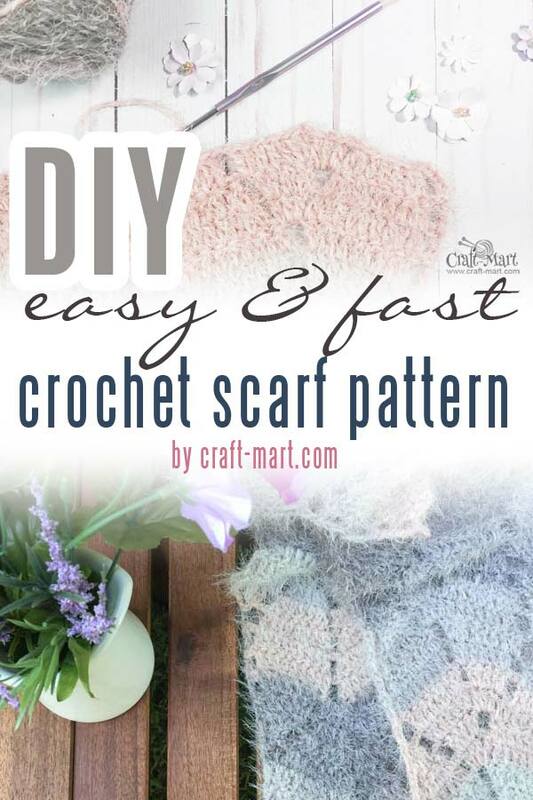 It feels very soft and luxurious and was just a delight to use to create this quick and easy crochet pattern. In essence, the yarn feels like very soft mohair though its content is 58% Acrylic, 42% Nylon. It is also self-striping and creates a nicely color-coordinated fabric that looks and feels perfect. But still, it creates five soft waves (in this pattern) that are perfectly color-coordinated for scarves, wraps, cowls, or even baby blankets. Most importantly, it is a generous skein – enough for a quick project. We used 2 Caron Latte Cakes for a big scarf/wrap that can do a double-duty as a blanket to cozy up by a fireplace or a medium travel throw. 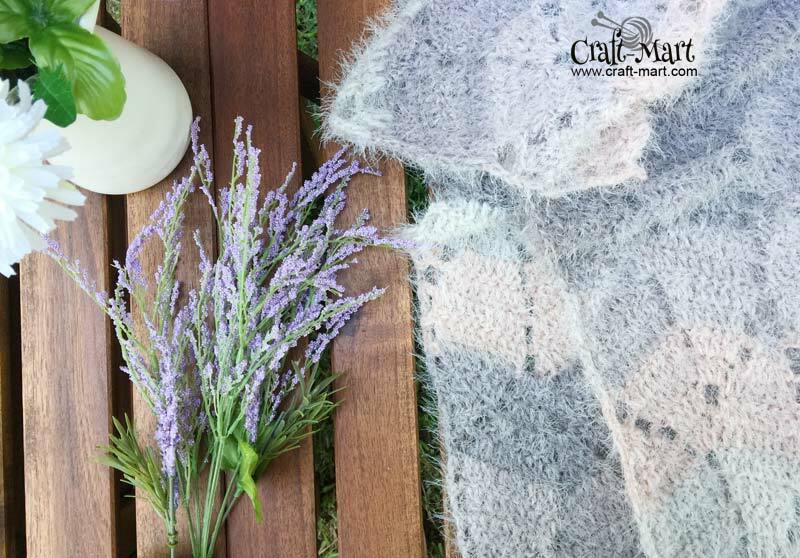 Perhaps, you’ll crochet a perfect scarf or wrap for crispy fall weather or an early spring! Love it – so soft and cuddly! 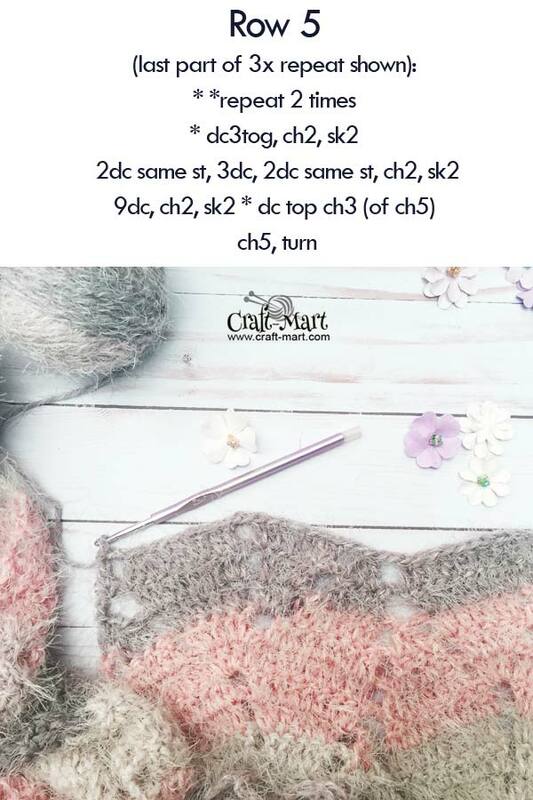 It is a great find for a thrifty knitter or crocheter looking for an easy scarf pattern as it feels luxurious but doesn’t cost a fortune. the skein has a very generous amount of yarn. Is this pattern suitable for beginners? First of all, ‘Fall Leaves’ Easy Crochet Scarf Pattern uses basic crochet stitches. If you are familiar with the basics, you can easily master this pattern. Though the pattern itself may seem complicated, we are going to break it down for you into easy-to-follow steps. 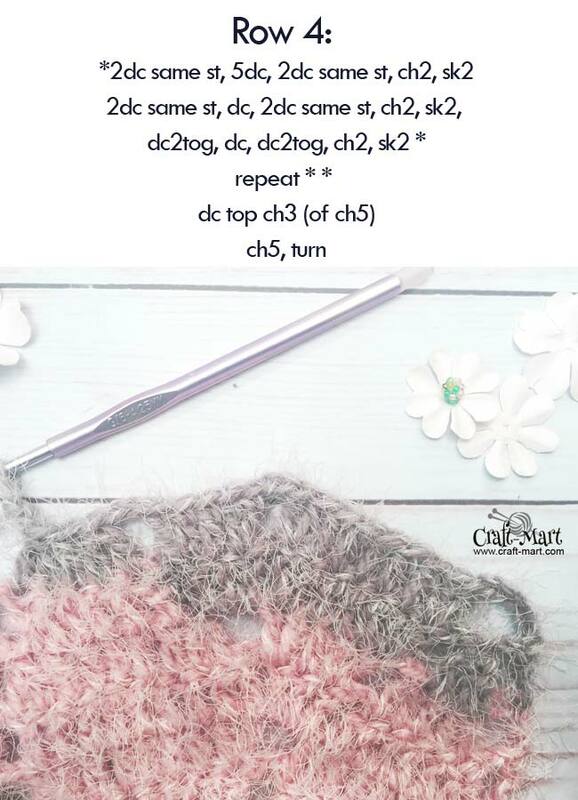 Most of all, a step-by-step tutorial makes this easy crochet scarf pattern suitable even for beginners. 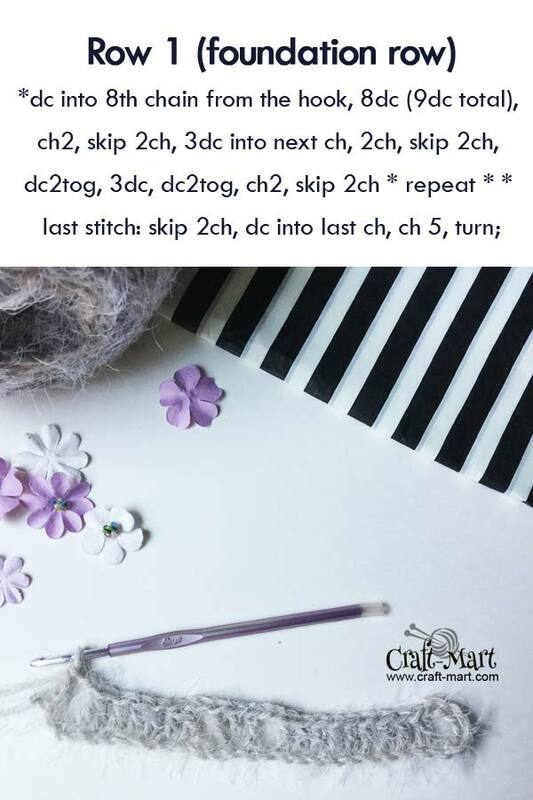 PIN IT for later so you can easily find this great free crochet pattern! 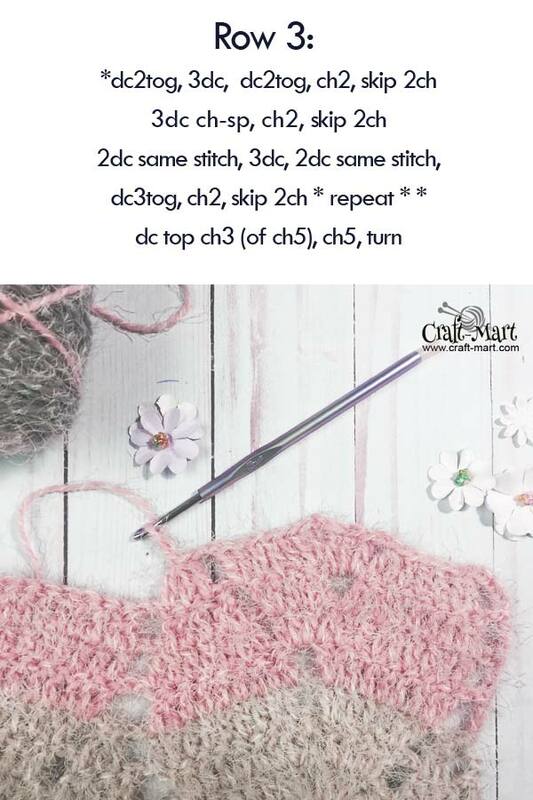 What makes this crochet pattern suitable for beginners? As an illustration, look at this scarf pattern as a collection of crochet leaves. Each leaf has 9 rows. There are two intertwined leaves that form a pattern. First, you increase until you reach row 5. Then you decrease until you finish the leaf with double crochet 3 stitches together (dc3tog). 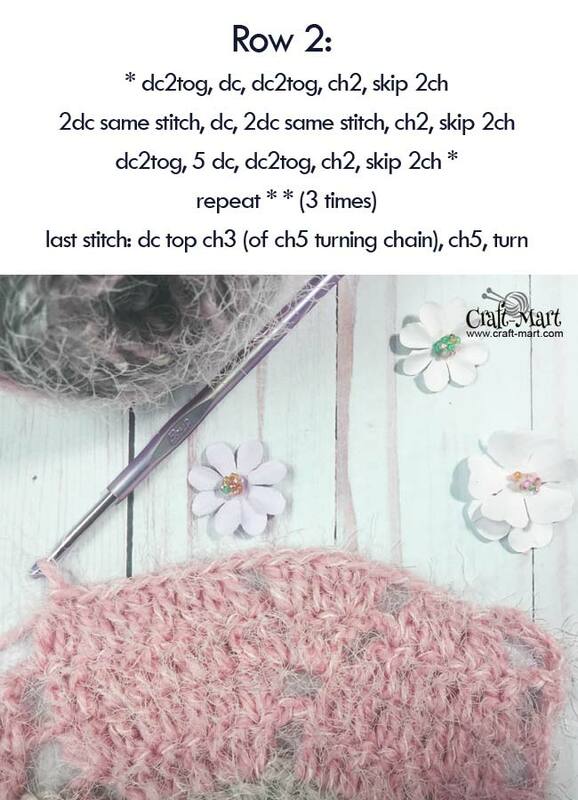 This easy pattern makes a complete symmetrical leaf. Consequently, you can easily check where are you in crocheting each leaf, so you can easily know what to do next. 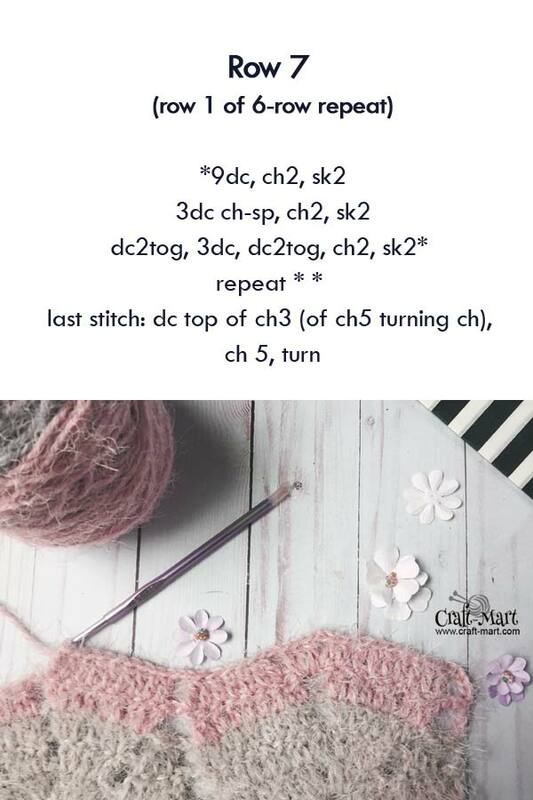 First of all, the pattern repeat has a sequence of two crochet leaves, so you can make a narrow scarf with 1 repeat, wrap with 3 repeats, or a blanket with multiple repeats. 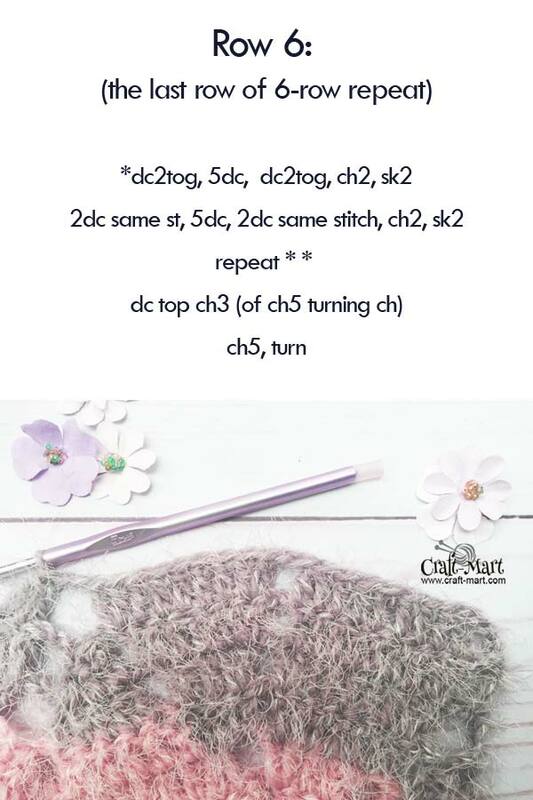 Therefore, if you understand the structure of a single leaf and crochet a practice swatch to master 6-row repeat first, you can easily crochet the scarf pattern without even looking into your free crochet pattern printout. To help you navigate easily, just remember to start a new leaf on a third row and seventh row. The finished over-sized warm scarf )or a cozy wrap) is 90″ x 17″ (using 2 skeins). You can chain any multiples of 24+7 if you are using the pattern to create a blanket. With 24 chains you will have 2 interweaving leaves, and 7 chains represent 2 ch (for the edge)+dc (for turning)+2ch (edge of the 1st row). Remember: always chain 2 (after each leaf) and skip chain 2 space from the previous row. This foundation row is slightly different from the 7th row (which will be row 1 of your 6-row repeat). Refer to the row 7 of this tutorial for detailed instructions. Repeat rows 1-6 until you run out of yarn. Weave in the ends using a tapestry needle. 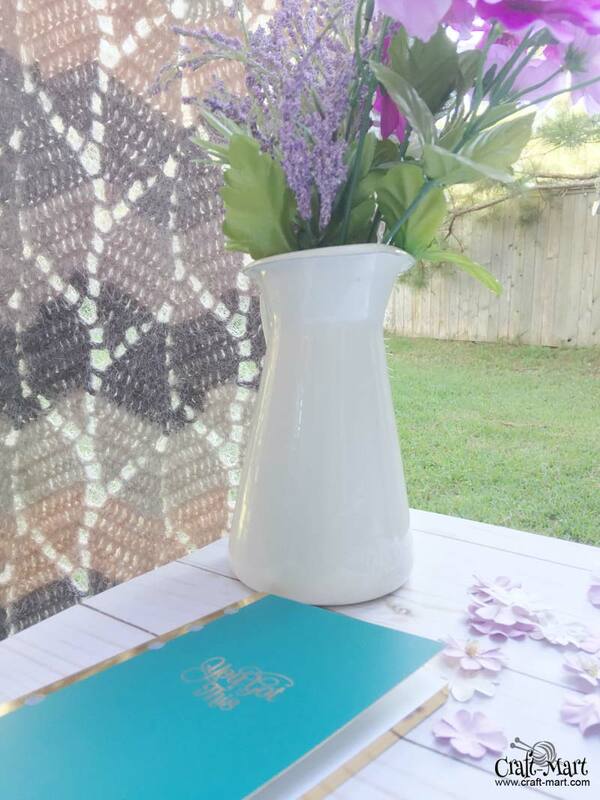 As you can see, the finished crochet scarf has a distinguished leaf pattern that creates a lovely vertical lace.